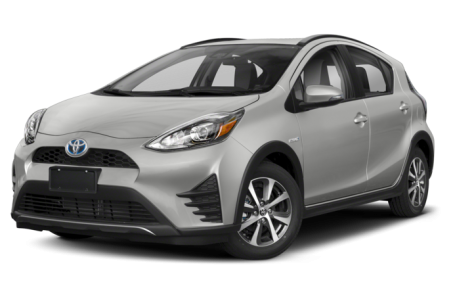 The 2019 Toyota Prius c is a five-door hybrid hatchback version of the Prius. It is the smallest vehicle in the Prius lineup. Its overall size and fuel efficiency make the subcompact very convenient for city driving. Two trims are available: L and LE. It is powered by a combined 99-hp, 1.5-liter four-cylinder engine and an electric motor mated to an electronically controlled continuously variable transmission. Fuel economy for the Prius c is an EPA-estimated rating of 48/43 mpg city/highway.